Vern J. Steffel, Jr. has been actively engaged in the private practice of civil law in Battle Creek since 1975. He is a 1972 honors graduate (B.S.) from Western Michigan University, having been a trustee scholar. He received his JD from Ohio Northern University, in 1975, having also attended the University of Notre Dame London Law Program. While in law school he served as managing editor of the law review and similarly was a trustee scholar. The University of Notre Dame, London Law program was a term spent in London, England, taught by University of Notre Dame professors and London barristers and solicitors actively practicing law in England. Law students from over forty different law schools were represented in the program. It allowed me to graduate a term early and was fully credited toward my law degree. A simply great experience, with some great adventures and friendships continued until today. His general civil practice has included representing individuals, corporations, LLC’s, P.C.’s and various entity representations over the full spectrum of his business related legal matters. From buying and selling business operations to lien perfections, enforcement actions, civil litigation of monetary disputes of all kinds, including receiverships, trusteeships and other ancillary court related civil matters. It also includes business dissolutions, business buy-sell agreements and the full range of various legal matters involving a business activities, internal and external. Also, general real estate matters from buy sell agreements to land contracts, mortgages and general real estate related issues involving title defects, title insurance claims, riparian rights and boundary related issues. Additionally, we do a significant amount of estate work, from general probate to complex trust work. Also, some very selective personal injury work and specifically overseeing malpractice related claims, credentialing issues and other claims involving insurance and potential insurance excess of coverage claims and oversight. The practice involves all types of contractual related matters, from drafting to enforcement. He is a member of the Calhoun County Bar Association, having served as an officer for many years, as well as a member of the State Bar of Michigan, American Bar Association, Federal Bar Association and various other professional associations. He has dedicated over thirty years of board of director membership to the Y Center of Battle Creek and the Sherman Lake Outdoor Y Center, having been involved in the formation of the latter organization. Over the years, he has served as the board chair of both organizations. Professionally, he currently serves as Board Chairman of the Calhoun County Hearing Panel for the Michigan Attorney Discipline Board for the State Bar of Michigan and he has served on that panel and as board chair for several years. He has been preeminently rated (av) continuously with Martindale Hubbell for over thirty-five years and is listed in numerous Who’s Who publications. 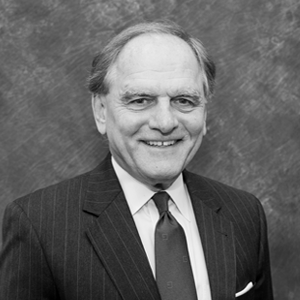 Prior to becoming “of counsel” to Kries Enderle, he was senior member of the Steffel & Steffel law firm, having opened the firm in 1978 and having commenced practice as an associate with the former Battle Creek law firm of Allen, Worth & Hatch in 1975. Kreis Enderle Welcomes Attorney Vern Steffel Jr.